Sometime last week while reading my First 5 devotional, I read the following, “You cannot enter into a love relationship with someone without them not only affecting your mind and your body but also your soul.” The devotional was about King Solomon and his disobedience to God. King Solomon had a love for foreign women. God warned his people not to intermarry; not to have relationships with foreign women because their hearts would be led astray. Solomon’s disobedience to God in this area of his life led him away from God and ultimately cost him his legacy. My thoughts were taken completely out of context by some so I’m using this post to clarify. When I say the man must have a solid relationship with Jesus Christ, it doesn’t release the woman in that relationship from having her own personal relationship with Jesus Christ. Both man and woman must be walking with God. Because we all walk at a different pace, I believe a stronger man of faith + a weaker woman of faith have a much better chance than a strong woman of faith + a weaker man of faith. Ideally, I believe it works best when both are hungering after God at the same pace. What do you believe? Here’s the thing, God knows what’s coming down the pipeline in your marriage after you say I do. You have no clue! In the words of Oprah Winfrey, here’s what I know for sure; if the man you marry is serving Jesus Christ and both of you are walking down the same path and hungering after him at the same pace, there is nothing that can happen in your marriage that you can’t conquer and overcome together. I write passionately about this because as the title says, disobedience in this area can change the trajectory of our entire lives. So many women ruin their lives when they choose to marry an unbeliever. I know a young woman right now who is in a very difficult marriage because she married a “good” guy who is not a Christian. Ladies hear me when I say this; do not marry an unbeliever unless you want to make your life incredibly hard. I don’t care if your wedding is planned, invitations are mailed and RSVP cards are rolling in. Disobedience cost King Solomon his legacy. What do you think it will cost you if you marry an unbeliever? Right now, the young lady in the difficult marriage is blaming marriage. She says, “Marriage is hard. This isn’t working. I want out!” Yes, marriage is hard and that is why God tells us not to marry an unbeliever. We can’t disobey God then blame marriage for our unhappiness. Marriage is not the problem, her disobedience is. What say you? How important is it for a couple to be on equal footing in their faith before marriage? Were you and your spouse on equal footing? Disobedience to God will change the trajectory of your life. Yes, when we place our lives in God’s hands, He is well able to manage all the consequences. Placing out lives in God’s hands is key. This is so true! Thank you for writing truth, even if it’s not received by everyone. You’re so right; most don’t want to hear it, however, I will continue to write it as God leads me to do so. Great post, Yvonne! Marriage is challenging even for 2 believers as we seek to grow and change and become more like Christ. But as we do there is great joy and such an increase in intimacy (not speaking specifically of sexual intimacy, but it’s certainly part of it). The closer we get to God the closer we get to each other. But when one is not a believer, that doesn’t happen. Usually, there is an increasing separateness. And, as you said, it can be a long, hard road. But the most important reason not to marry an unbeliever or someone with little interest in growing is because God said not to. 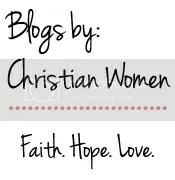 Keep sharing and encouraging those who read your blog to trust and obey God. It’s the truth that sets us free! You are so right! I married a believer and while we each have different growth spurts, we both continually grow and I thank God continually for that!